Autumn begins today in the Northern hemisphere. 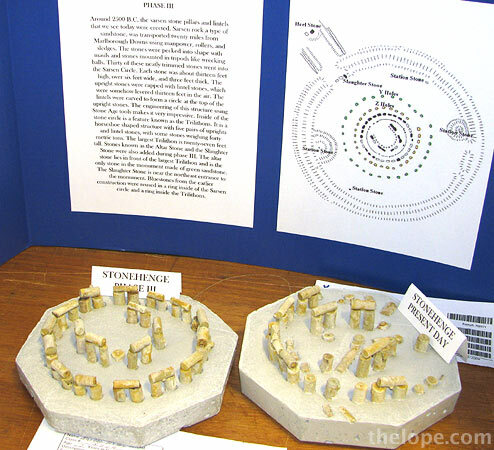 Usually I present something Neolithic on solstices and equinoxes, and a delightful entry in the recent 2009 Kansas State Fair allows me to show you something really cool. 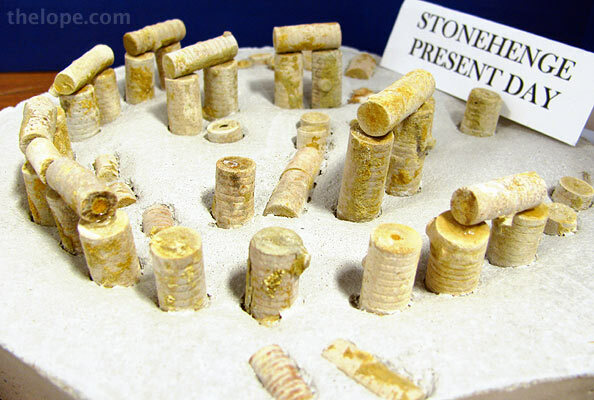 Morgan Reves of Pottawatomie County, Kansas, treated the public to this special exhibit: two models of Stonehenge - past and present - made of fossil crinoid stems. 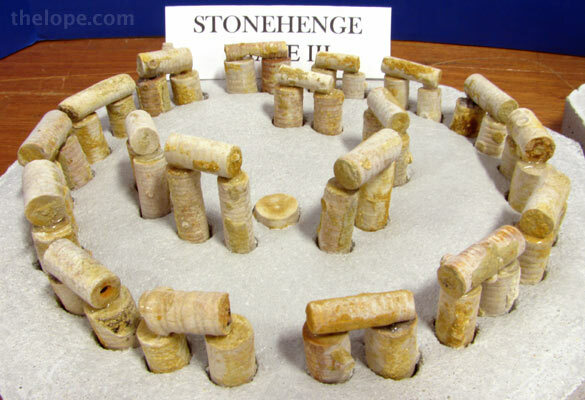 This is Reves' rendition of Stonehenge when it was finished into its final configuration. I like the way the mineral coloration on the fossils echos the lichen on the real Stonehenge. 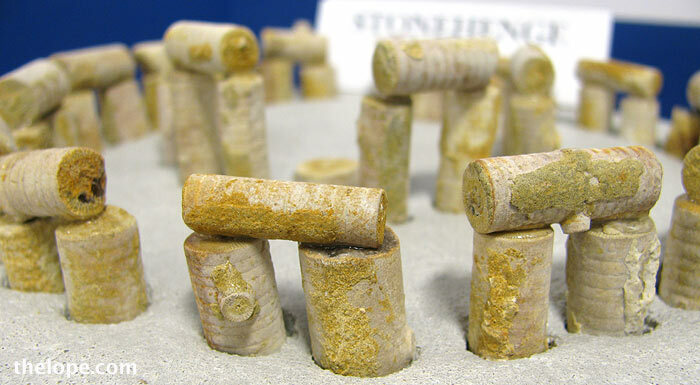 And here's Reves' model of the Stonehenge of today - ruinous but beloved. 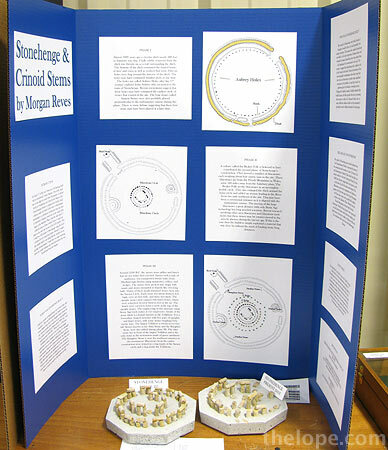 Much explanatory text, as well as this site map, was included in the display. I like the way Reves has taken one of the most common fossils and done a piece of educational folk art.